For all who doubt whether to make a tattoo henna on the skin can be an interesting experiment. The advantage that henna tattoos have over all other types of tattoo fragility. If the tattoo you want to do for a while, you just need to dilute the henna and apply it, after some time, the tattoo will come down itself. small henna powder, preferably specially intended for tattoos, lemon juice, additional components (optional), syringe, cotton swabs or wipes. For henna tattoos it is best to use special henna powder finely. Before breeding, it should be sifted through a sieve. After the powder is prepared, you can prepare the solution. Prepared henna powder pour lemon juice to obtain a paste. Not too thick, but not so thin to spread. Now it should be stirred. When the paste is smooth, wrap it in plastic and let it rest for about a day. Then the color will be more bright and thick. If desired, part of henna tattoo you can add additional components that will affect the color. For example, if the recipe for the henna tattoo to make a big or ground coffee, the picture will be more dark. Some essential oil and put a pattern would be much nicer. In addition to the additional components, to the color of the tattoo also affects the color of the skin itself. Skin tone is one of the most important determining final color. The darker the skin, the more brown it will become a pattern. On a white skin it will be orange. Before you apply paste to the tattoo on the skin, usually do a light exfoliation. You can also wipe the area of skin eucalyptus oil. For applying henna is used syringe. Otherwise it is difficult to obtain a thin line. 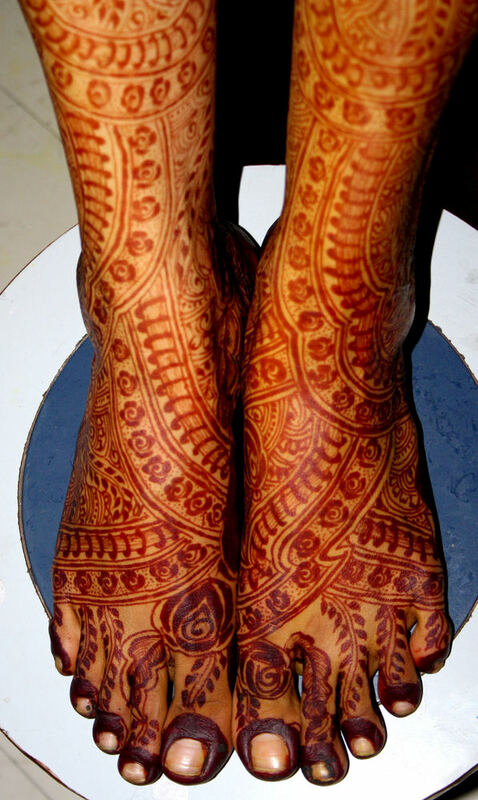 When drawing is completed, you need to wait an hour or two until the henna has dried and absorbed. When a tattoo made, you should try maybe a couple of days not to expose your skin to water. The average henna tattoo lasts about 2-3 weeks. But the back and shoulders, this time a little less on the feet and hands – a little more. 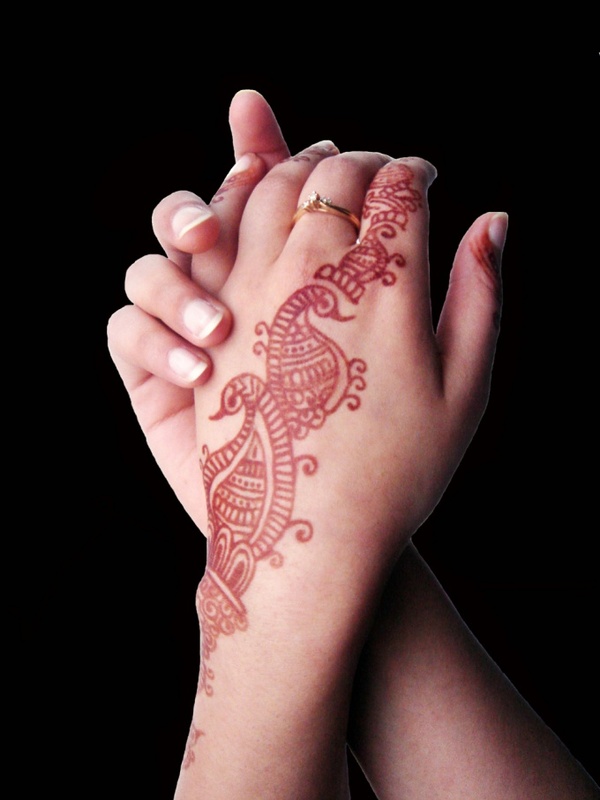 The longer the henna is kept on the skin, the brighter the color. First, the color pattern is almost orange, but during the day it darkens.